Cyberbullying on steroids: Why Nicki Minaj needs to stop sending her Barbz after people – YOU CANT STOP THE SHOW!! Monday BET found itself in the midst of a social media scandal when one of its employees decided to use their official Twitter account to throw shade at outspoken rapper Nicki Minaj. And “address the situation they did by reportedly terminating the individual responsible for the post. HER ADDRESS ya’ll. As in the thing used by mentally unstable people to roll up on folks and cause them bodily harm. As my colleague went into a passionate rant about how this was tantamount to domestic terrorism and that if God forbid anything actually happened to this woman, her blood would be on Nicki’s hands. Somehow, the outspoken, self professed women’s empowerment advocate, who is always lamenting about how she’s marginalized, disrespected, and disproportionately maligned because of her Black womanhood, just sent millions of internet goons (with a lot of free time on their hands) after another Black woman. Over one shady tweet. While the tweet wasn’t exactly complimentary, it echoed the sentiments of many people aching for a Nicki evolution. This was constructive criticism and was nowhere near what would constitute as hate speech. Yet, when the rapper caught wind of the tweet, she responded by sending not just one, but two, vulgar and hateful direct messages, calling the young woman “ugly” and urging her to “Eat a d**k” amongst other vile and immature things. 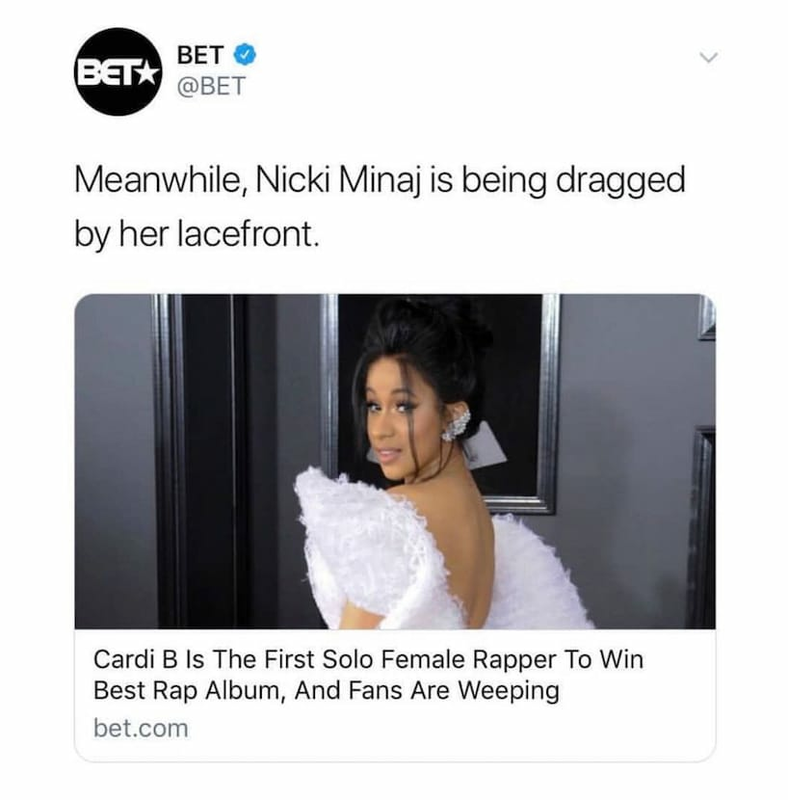 Although, a smattering of users – who were unafraid of the Barbz – began tweeting messages of solidarity during the height of the cyber abuse, using the hashtag #IStandWithWanna, Thomspon later confessed during an interview with Mic that she was left feeling depressed and “exhausted” by the harassment. Rap and hip-hop culture in general are steeped in bravado and verbal warfare; I get that, but the beef has always largely been for theatrics. THIS however, is cyberbullying on steroids, with real life victims and possibly deadly consequences.